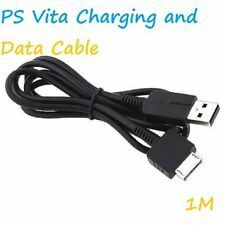 USB 2.0 Micro B data cable 5 m.
Good build quality USB cable made to highest spec. High Quality Multi-use cable, also compatible with most Android phone and Tablets. Length: 5m. 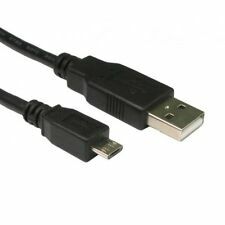 USB 2.0 A Male - Micro B Male Cable (Black). Connectors: 4pin USB Type A-male to 5pin USB Type B Micro-male. Our USB Cables are a high quality shielded 28awg Cable. They are 4mm thick. OFFICIAL MANUFACTURER OF iDigitec OFFICIAL MULTI USE CABLE! USB Transfer Cable transmits the data between computer and NDSL console. 1 x Nintendo DS Lite USB Cable. We pride ourselves on our reputation for ensuring all orders are quickly processed and despatched. Compatible with XBox One. New LED Charging Indicator Function. We will advise which is applicable. 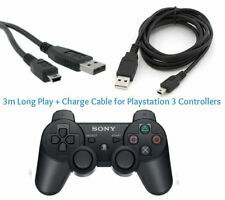 1X USB Cable For XBOX 360. The third Party Product. Otherwise, we will reserve the right to relist the item and the unpaid item report will be made correspondingly. Not compatible with 2000. Use any power source with a USB outlet such as your computer, wall adapter, power bank, etc. Cable Length. Otherwise we are not able to replace for free. Our prices are subject to change without notice. 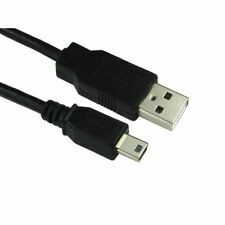 USB 2.0 A Male - Micro B Male Cable (Black). Length: 3m. Connectors: 4pin USB Type A-male to 5pin USB Type B Micro-male. Our USB Cables are a high quality shielded 28awg Cable. They are 4mm thick. Colour: Black. CE, RoHS Quality Checked, made from high quality parts. SmartPhone Accessories. Tablet Accessories. Garmin Accessories. Exclusively designed for Wii U console. 1 x Power Adapter. Shell Material: ABS plastic. Output: 4.75V 1.6A. 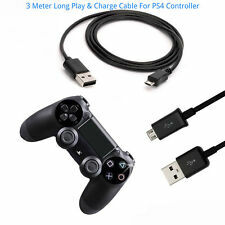 Cable length: 110cm (43.3"). With short-circuit protection and built-in overcharging protection. Made by Third Party. Product picture is for reference only. We don't hold any responsibility to the color difference and will not accept about such related complaint. Length: 300cm. Weight: 63g. High quality braided cable with built in ferrite bead for reduced interference. - Gold plated connectors - 4 pin USB A to 5 pin friction locking Micro USB B connection. Add to Favourites. 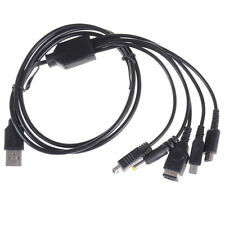 This Cable can be used with variety of devices having Standard Micro USB Port. We also see other Parts like Power adapters if needed. Type: USB To Micro USB Cable. 1X Micro USB Cable. Connector 1: Micro USB. Quality USB Cable. High Quality cable. 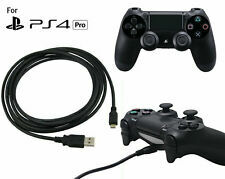 Genuine Sony USB to Mini USB Cable. GENUINE OFFICIAL SONY PRODUCT. We will always help you to have a 100% positive happy buying experience. Add to Favourites. Micro USB. Available in 1.8m / 3m / 5m Lengths. 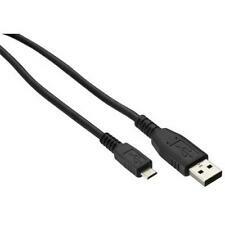 USB 2.0 A Male - Micro B Male Cable (Black). Connectors: 4pin USB Type A-male to 5pin USB Type B Micro-male. Our USB Cables are a high quality shielded 28awg Cable. They are 4mm thick. Shielded 28awg cable. Nintendo Switch. Charging Cable Lead for. USB Charging Cable. This does not affect your statutory rights. Never runs out battery again while you are about to strike your final score. Thrustmaster Ferrari 458 Spider Racing Wheel - Xbox One. Thrustmaster Ferrari 458 Italia Racing Wheel - Xbox 360. 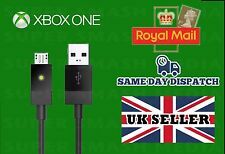 Protect your Xbox console crashing onto the floor with this Xbox compatible USB Breakaway Cable. Length: 1m. USB 2.0 A Male - Micro B Male Cable (Black). Connectors: 4pin USB Type A-male to 5pin USB Type B Micro-male. Our USB Cables are a high quality shielded 28awg Cable. They are 4mm thick. 3rd party product, not Microsoft OEM cable. Cable Length: 24cm Approx. Note : Lead is not suitable for 1st edition Nintendo DS. Length: 1.2M. Material: Plastic. 1.2m UK 3 pin power cable with kettle C13 connector. This cable is small and compact, so you can take it with you anywhere you take your device. Cable Length: 30cm / 12in. This quality cable also allows you to connect your Nintendo Switch to your laptop or PC for charging.